Everybody digs a classic restoration of a vintage speed machine. Here at Mikes XS, we equally appreciate the “1 of 1” approach. 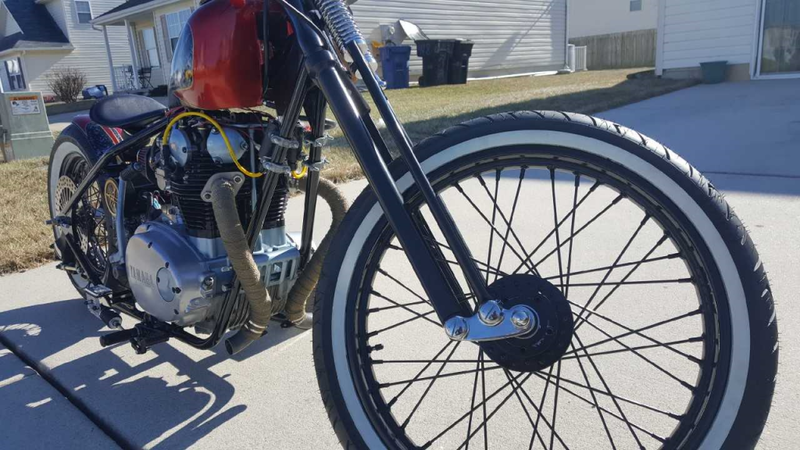 A custom motorcycle that screams individuality. It’s an idea that’s only brought to life with the proper application of creativity and elbow grease. 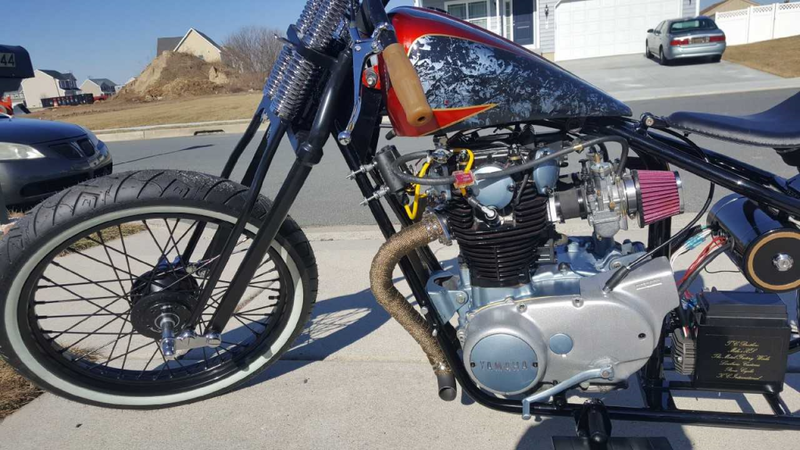 Terence W. transformed his XS650 beautifully…and this is his FIRST build! I wanted to touch base with you and the staff at Mikes XS to let you know that you have been a monumental help to me throughout my build. This is my 1st build and I’ve purchased several essential items from you. Your products and customer service has been exceptional and I’ve recommended you to others who are in pursuit of accomplishing their builds. 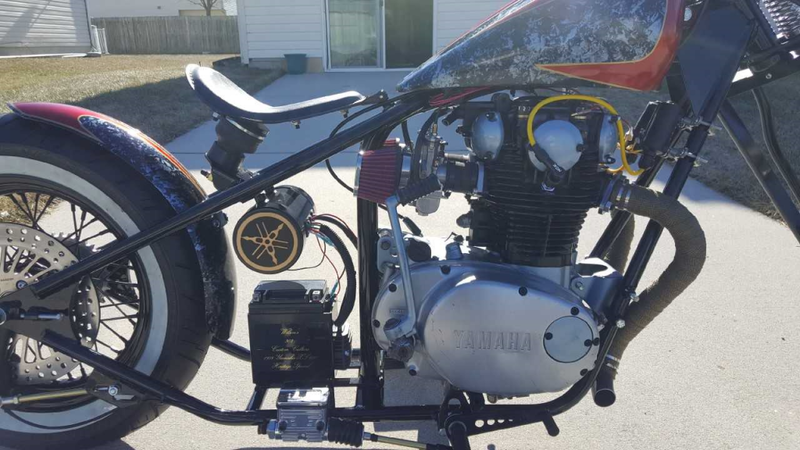 This ride features our XS650 Performance Carb Kit, XSCharge Ignition Kit, spokes, and a handful of miscellaneous engine parts. 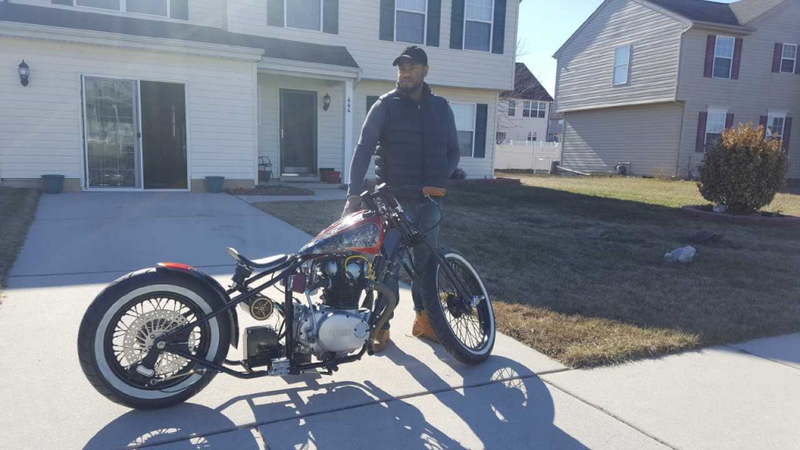 Excellent job, Terence and thank you again for choosing Mikes XS to help with your 650 build! 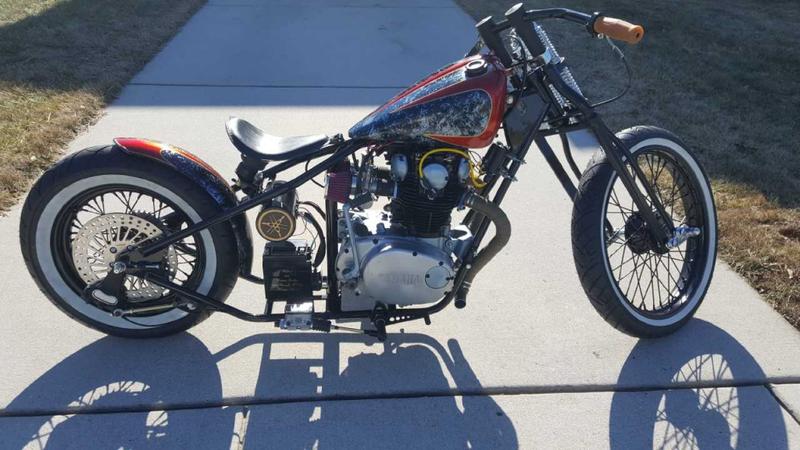 Posted in Customer Bikes and tagged bobber, cafe racer, chopper, classic motorcycles, custom build, custom motorcycle, customer bike, hardtail, hot rod exhaust, mikesxs, motorcycles, rd400, tracker, vintage yamaha, vintage yamaha motorcycles, white wall tires, xs1, xs400, xs650, xs750, yamaha, yamaha motors, yamaha xs650. Bookmark the permalink. Amazing looking bike! Just curious about that front end because I’ve been looking for one for my build. Thanks Brad. The front end is a DNA Springer 2′ under with a 34 degree rake. Plenty cool XS Terence! Now it’s time to start another one!! Thanks Jon. Next build is on its way. I gather it’s not running yet, no chain that can be seen. Thanks Peter for the observation. Chain is on and I’m up and running. Great build Terence! Nice job! Time to ride! What’s the hardtail you used? Art, really appreciate the comment. Rode all last summer. Started a new build. Hey Travis, Its a custom frame from The Factory Metal Work.